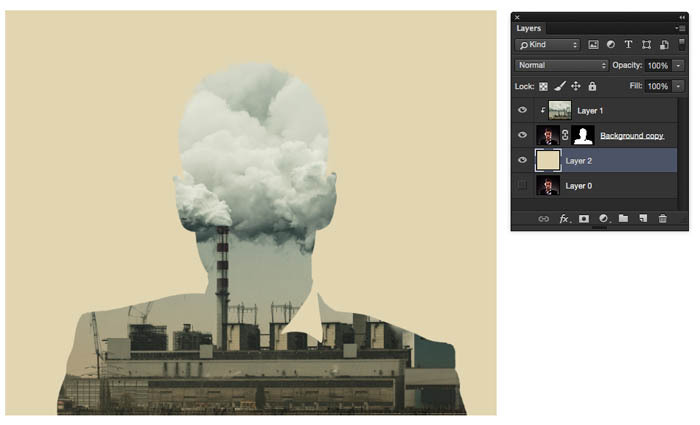 I’ve recently noticed that the double exposure effect is blowing up on the internet. This isn’t something new, in fact the effect has been around since the days of film. If you exposed a frame and then didn’t advance the film and shot a second photo, you would get what was called a double exposure. Two photos on one frame. 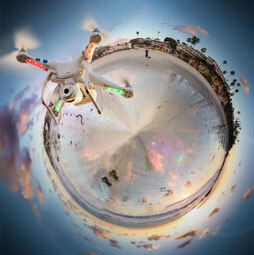 Many digital camera allow you to simulate this effect in camera. 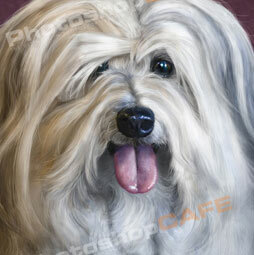 I have used 2 images from and have included the links to the original images. You can use you own images or the watermarked versions to follow along. I started with 2 photographs. I needed a headshot with a suit jacket, loose tie and strong chin to match the True Detective style. 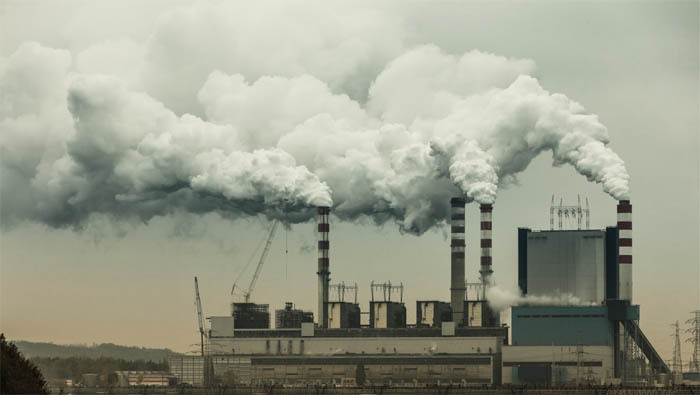 The second Photograph, I needed something industrial, with tall vertical structures, so I chose this factory image. I also knew I could have fun with the smoke. Make a selection around the man, use the alt/Option key to deselect areas if you go over. 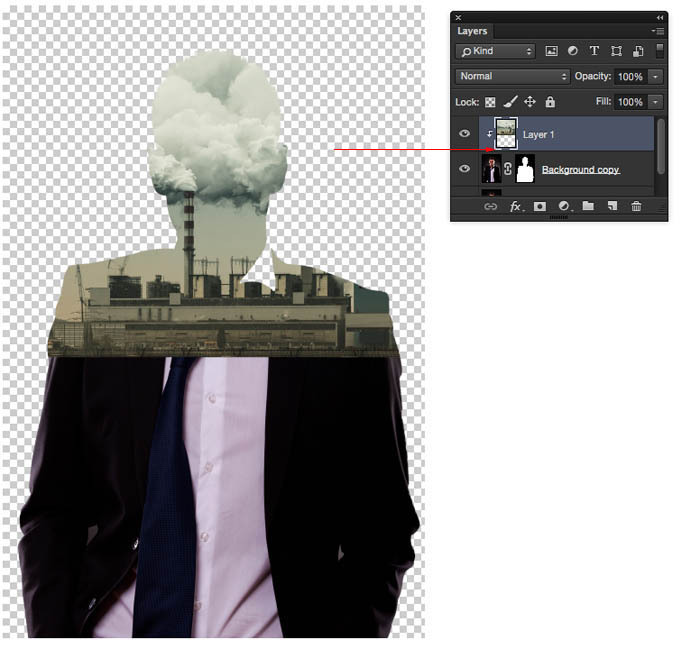 You should see the man cut out on his own layer with a layer mask as shown. If not, return to step 2 and see what you missed. Open the tab for image 2. 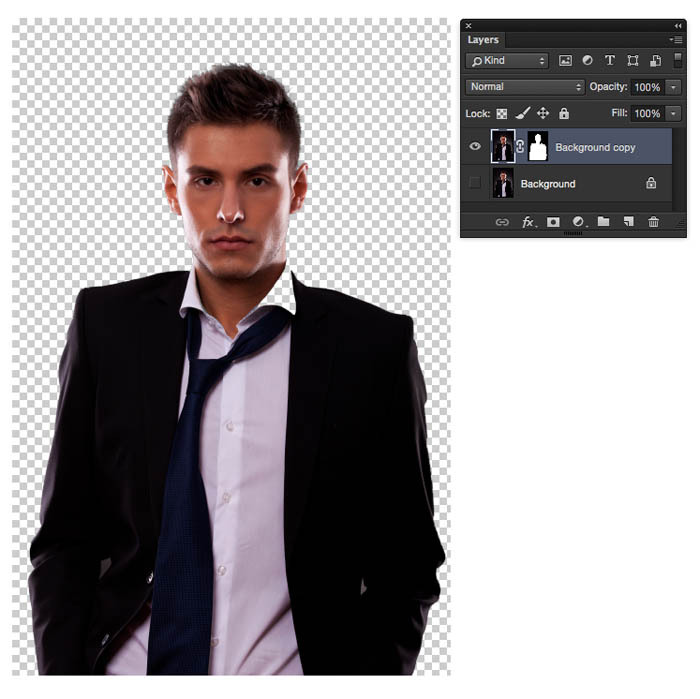 Without releasing, drag the image into the middle of the man image and release. 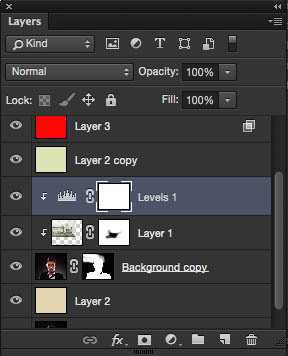 It should be on a new layer as shown. 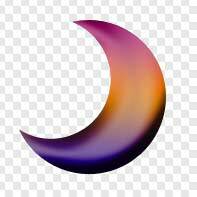 Hold down the alt/option key and you will see a square arrow on the curser, click to “clip” the layer to the shape of the cutout beneath. For the art that we are creating, we only need the top of the shoulders visible. Let’s crop this down to size. 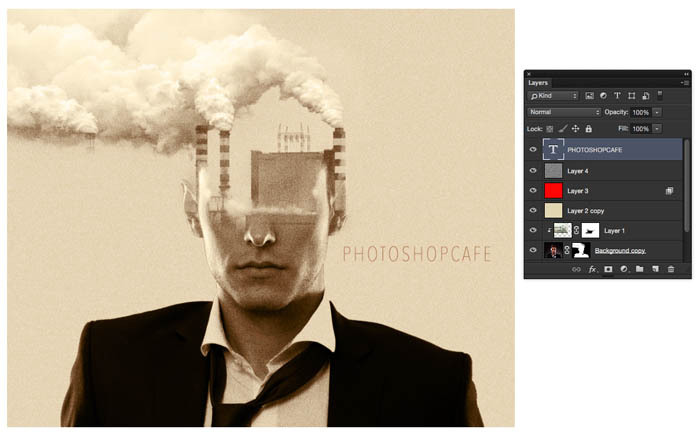 Choose the crop tool. 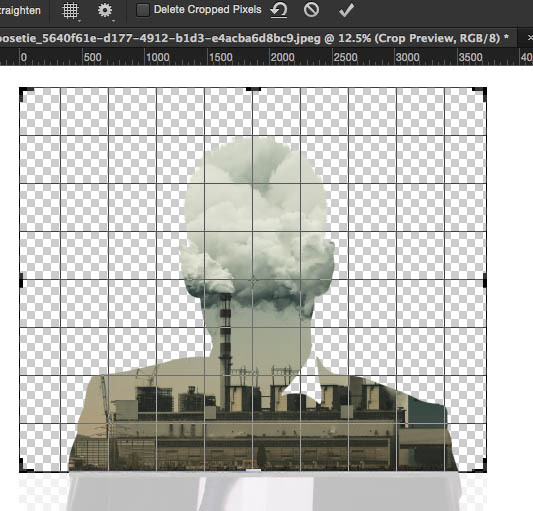 Make sure that “delete Cropped Pixels” is unselected at the top. 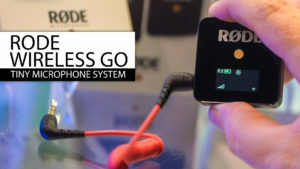 This will preserve the pixel and allow us to reposition things later. Right now we have a lot of color in the photo. This isn’t how the final result should look. No need to convert to black and white, I have a better method for you here. Choose a new foreground color similar to what I have here. #e2d6b2. 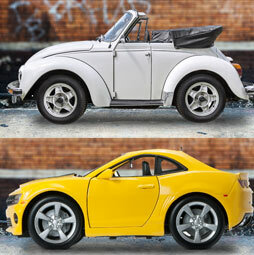 You can choose your own color or change this later. We now have a background rather than transparency. 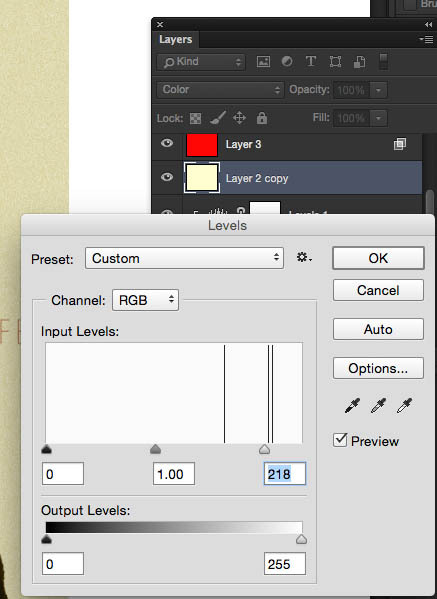 Drag the duplicate color layer to the top of the layer stack. Right now, you will see a solid color. 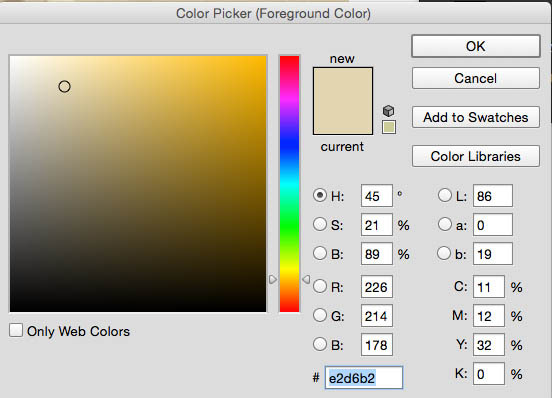 Change the blending mode to Color and now everything will take on this new color while preserving the luminosity. This is where we get into the good stuff. 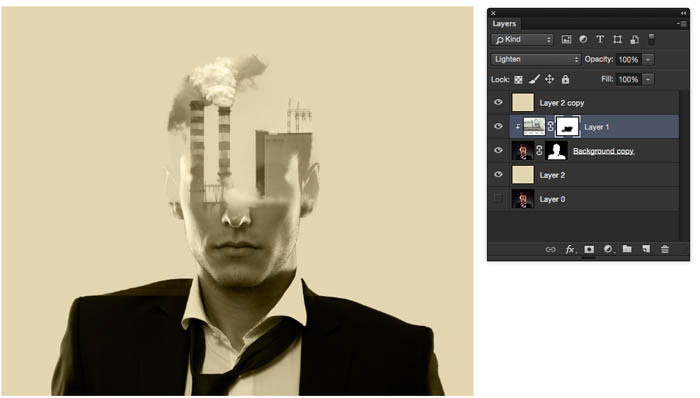 You will start to see this cool blending effect. 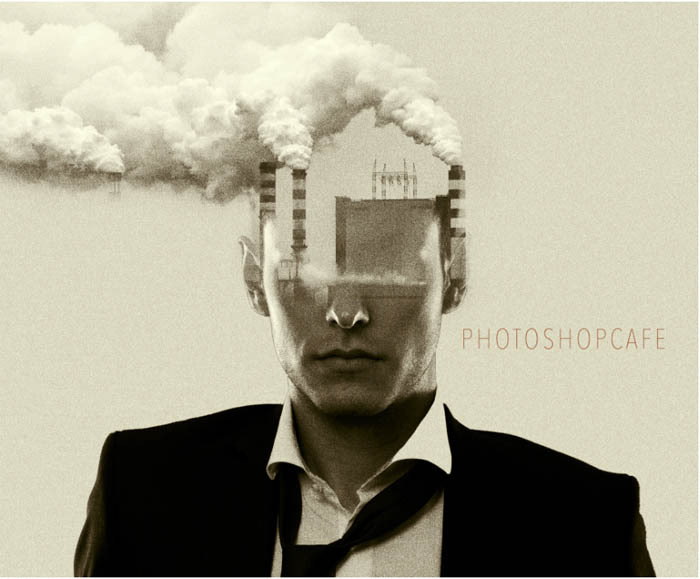 This is the actual double exposure, like you would see in camera. If this is all you wanted, you can stop here. 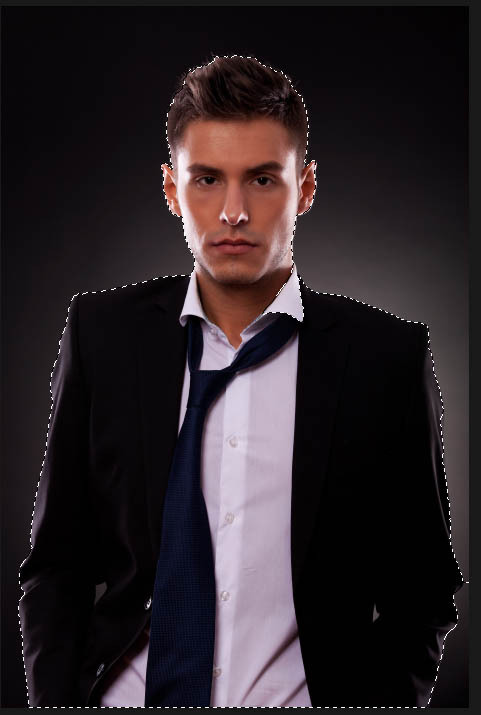 Because the top layer (layer 1) is a clipping group, we can drag it around and reposition it and it will stay within the boundaries of the face cutout. I dragged it over so that the smoke stacks are showing on the left. Notice that the silhouette of the head is still showing on the right? Let’s fix that. Slide the white slider over to make the shadow area disappear. You may also need to move the mid tone slider over a bit like I did here. The goal is to make the overlapping areas invisible, it will take a little tweaking with the levels to get it exact. 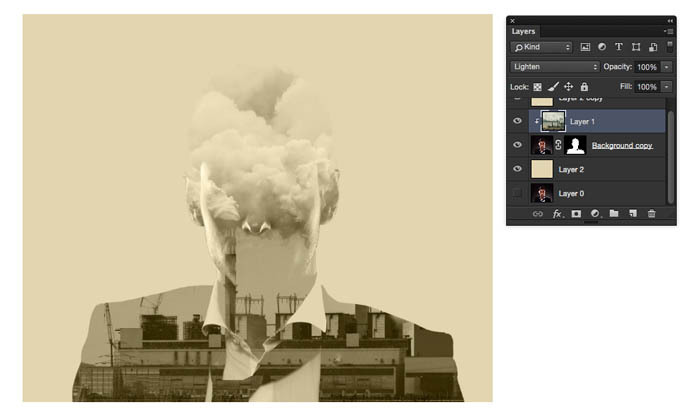 This is part of the magic of blending modes. Now that we have matched the layers, we can bring back part of the bottom of the face and also smoothly blend it into the shape on top. 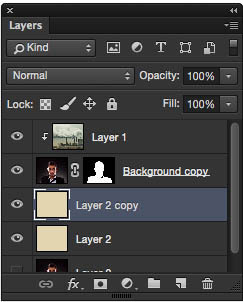 (With Layer 1 still the active layer) Click on the Add a layer mask button at the bottom of the layers Panel. Choose a soft edge black brush and paint on the image to mask out layer 1 and reveal the bottom of the face. When you paint on this mask, you will hide the factory and allow the face to show through. Paint with White to hide the face and show the factory. If you want to go outside the boundaries of the face and expand the factory to show out of bounds, do this. 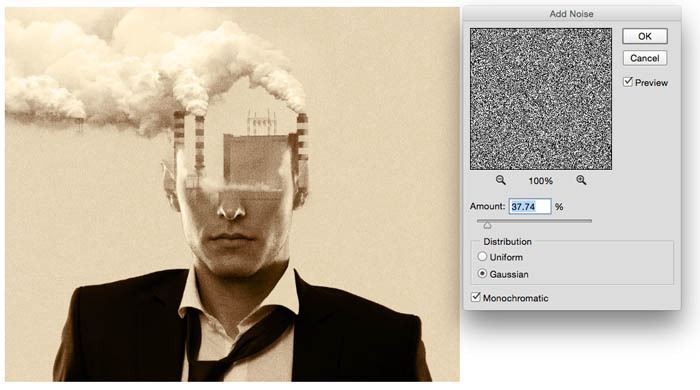 You will see that we have a layer mask on the head (from the refine edge earlier). 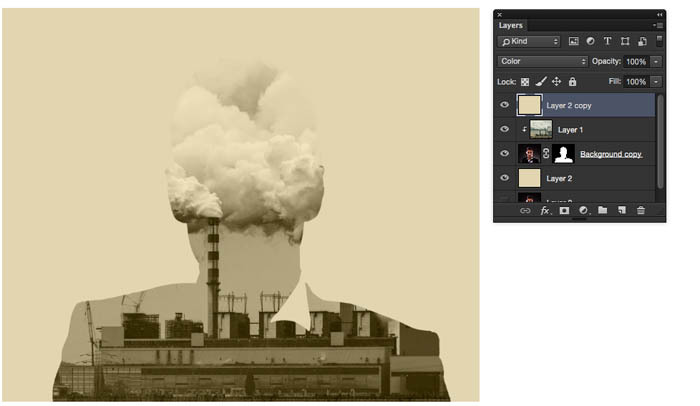 If you choose that mask and paint with white on the image, you can paint out of bounds and show the factory. Paint with white to allow the smoke to show. Paint with Black to hide the smoke or clean up areas where you went too far. So far, it’s looking good, but Not quite fitting. Lets scale the top image to make it fit better. Shift and drag on the corner to scale up or down proportionately. When you are satisfied, press the enter key to apply the effect. I noticed when looking at the original art, there is a red tint in the shadows. 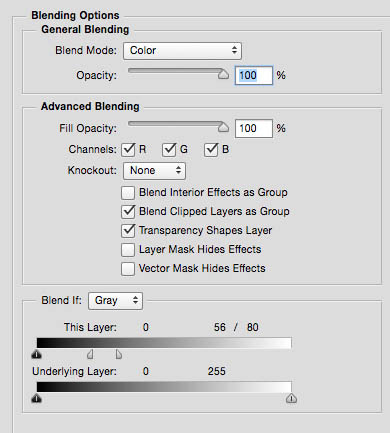 At the very top, you will see “blending Options” choose it. We are now in Advanced Blending mode. See the Blend If sliders at the bottom? 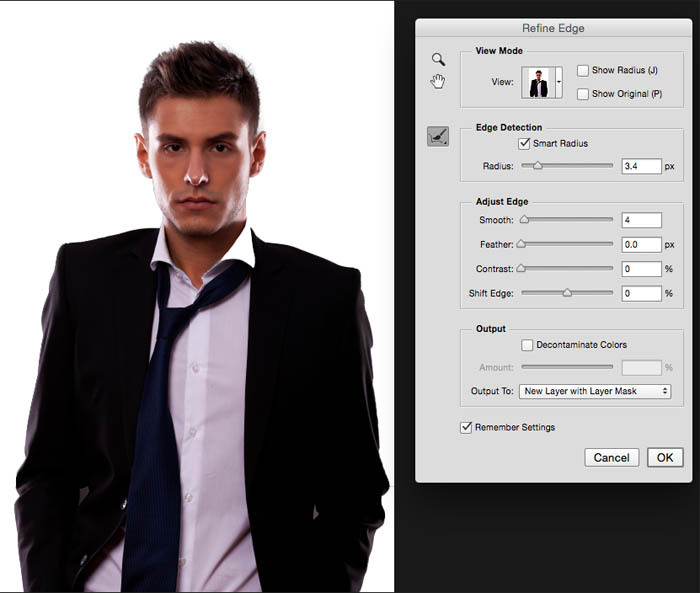 Drag the white slider to the left to hide the layer contents in the highlights. To get this to work, you will need to split the triangle slider. Hold down Alt/Option and drag out one side of the triangle to split it. Play around with the sliders until the red is showing mainly in the shadows as seen here. Reduce the opacity to suit your tastes, here we are at 56%. Let’s add some grain to simulate the film look. Create a new layer, but wait! 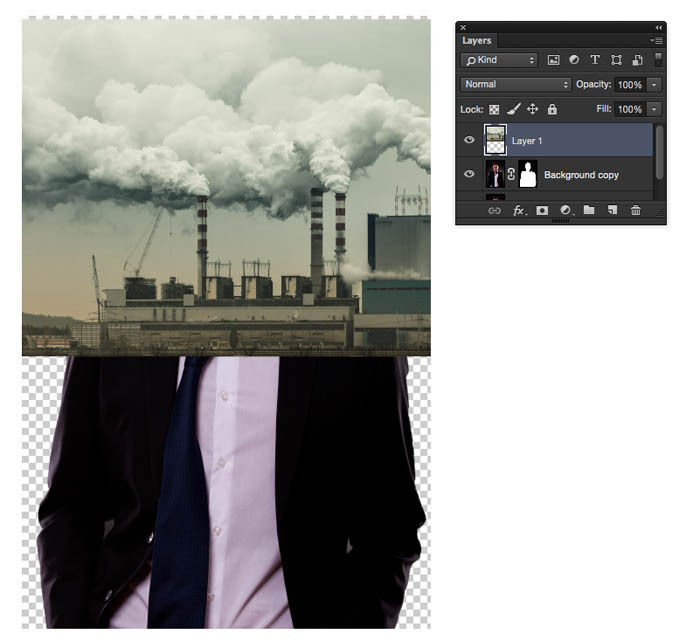 Hold down the Alt/Option key as you click the new Layer icon. 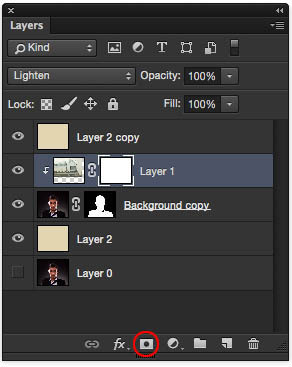 This will bring up the New Layer options. 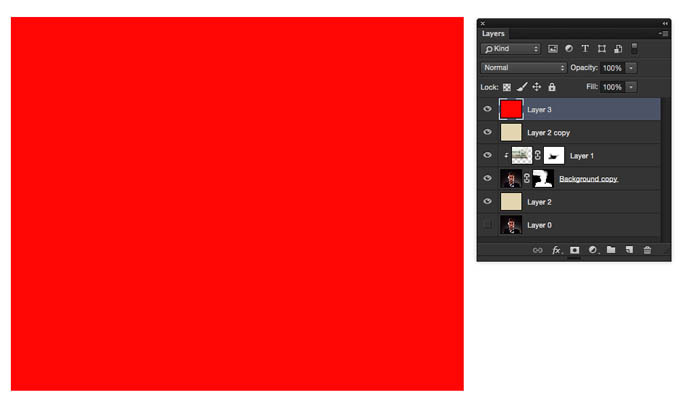 You wont see anything, but the new layer will now be filled with 50% gray and be in Overlay blending mode. Perfect for us to add grain to (You can’t apply grain to an empty layer, which is why we went through this step). I added 37% (approx) This will depend on the resolution of your final image, to get the exact look that you want. Click ok to apply the grain. 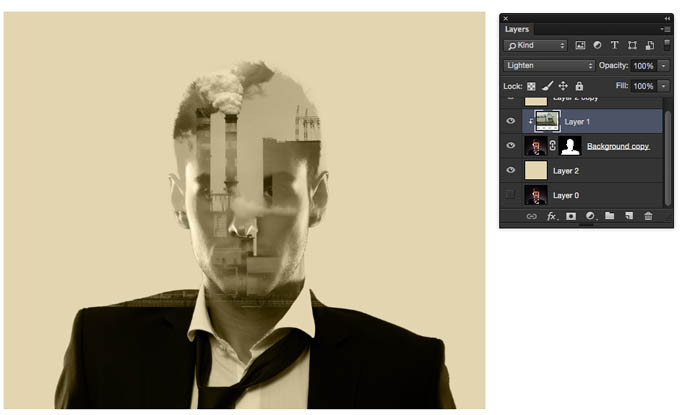 You can change the opacity it the effect is too strong for your image. I added a little bit of type here to match the feel of the show opening credits. I wanted to make the color a little less red, so I reduced the opacity of the red layer. The final look should have more contrast. Create a Levels adjustment layer directly above the 2 image layers. We want to affect these only and not the background color. 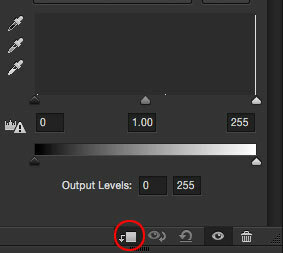 Clip the Level adjustment to the image layer by turning on the “Clip” icon in the Layers panel as shown here. It should look like this in the stack. 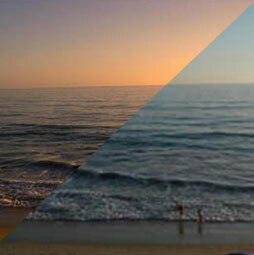 Adjust the middle slider in the Levels to get the contrast in the midtones to complete this part of the look. It makes it a bit more gritty looking. Finally, to lighten the overall color a bit. 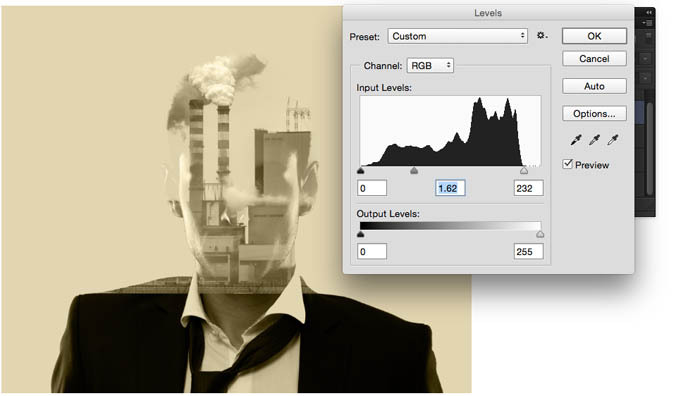 Select the Colored layer and Press Cmd+L to open levels. Slide the highlights to the left a little bit. I know this was a lot! A really in-depth tutorial that covered a number of techniques that you can use to stylize your images. If you like this, please share on social media (Button at the top) add a comment and share with your friends. The more support we get, the more tutorials I can write and record! 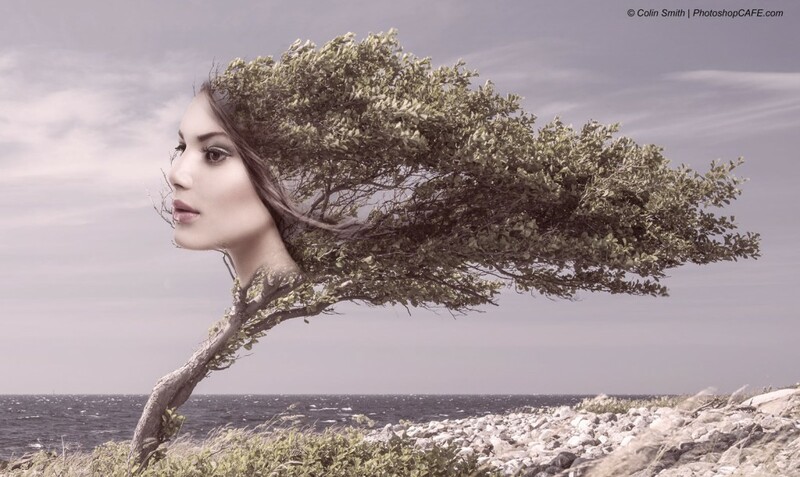 Here ia a different image I created using the same techniques, this one is a bit softer themed. Thanks for checking out this tutorial. Add a comment and let me know what else you would like to learn! 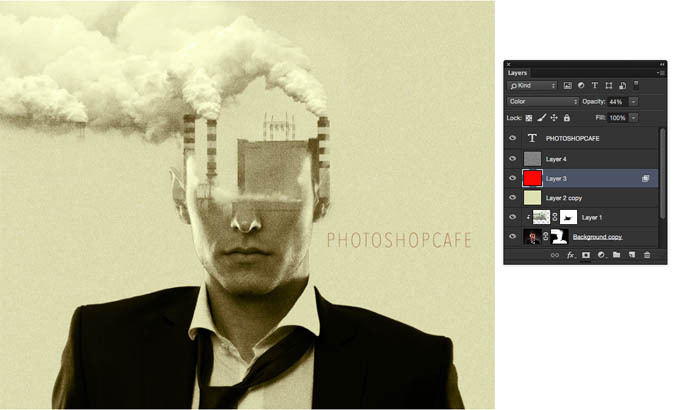 If you are interested in learning more about compositing in Photoshop, I created a very comprehensive tutorial called Sky City Project. 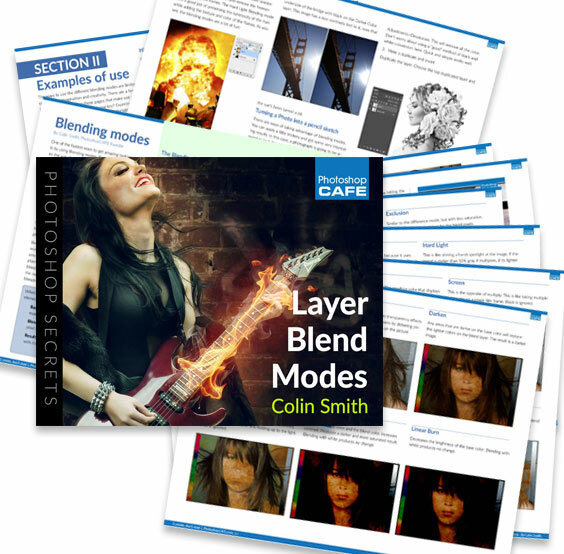 In this series of videos, I show multiple ways of extracting photos, blending them and then changing the lighting with blending modes and dodging and burning. 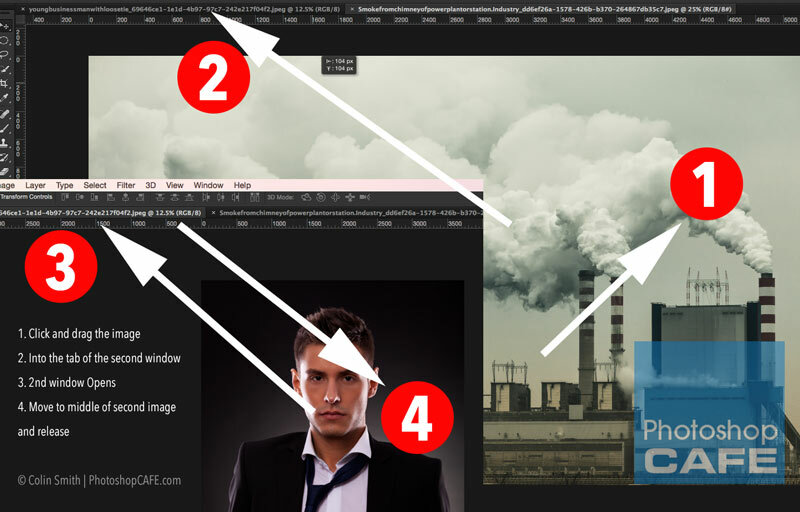 As a bonus I show you how to paint in clouds (like the smoke in the catzilla image) and well as some different ways of creating cinematic coloring effects. 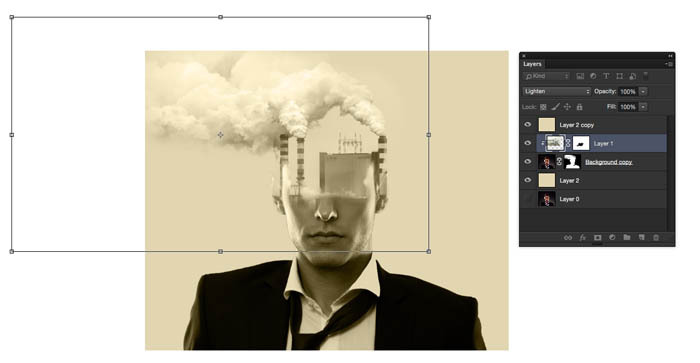 Why… Could you please check it again… “Choose a soft edge black brush and paint on the image to mask out layer 1 and reveal the bottom of the face. When you paint on this mask, you will hide the factory and allow the face to show through. Paint with White to hide the face and show the factory.” I didn’t find any issue there! its most informative tutorial. its helps me on my design. 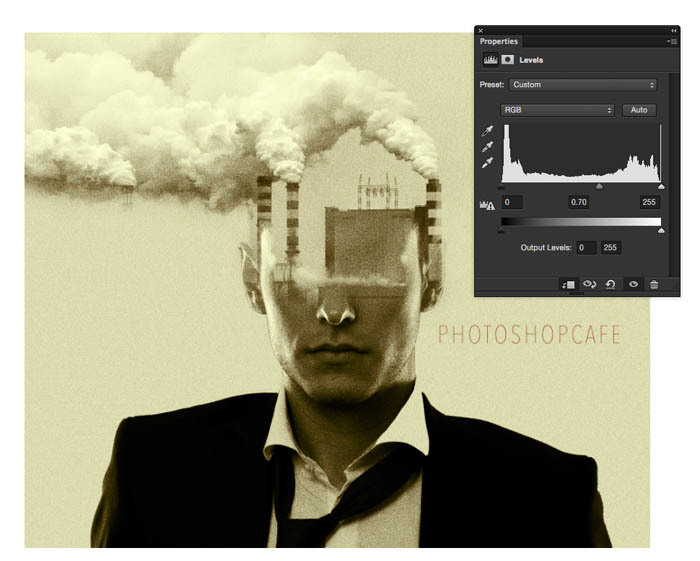 Informative tutorial and the tutorial provide more concept about creating double exposure effect like true detective TV show . So i said that, this tutorial is very useful . Tremendous lesson in so many areas! Thanks for all the extra tips!